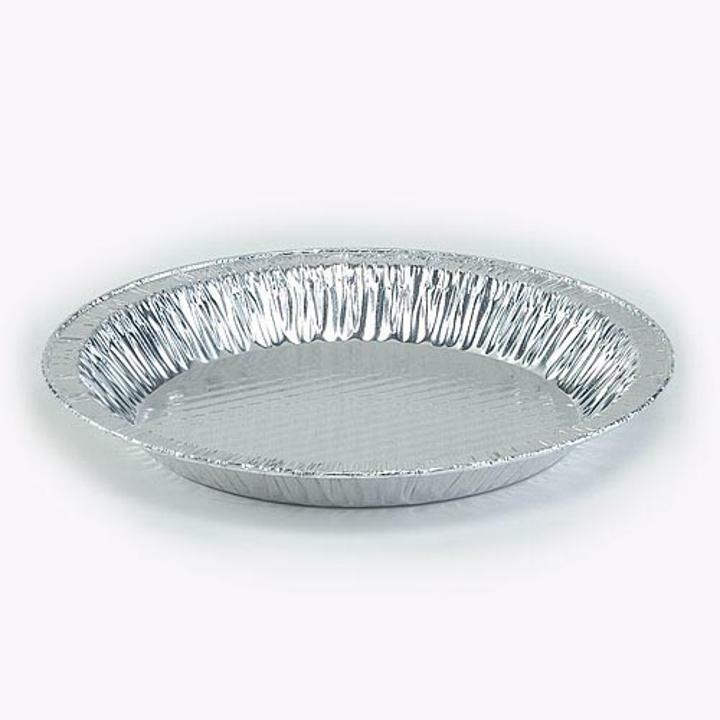 9" Round Aluminum foil pie pans are convenient for home bakers and professionals alike. Dessert making has never been easier, no more have to chase your good pans all over town. With our disposable aluminum pie tins the pan you bake in is the pan you take in. See our full line of aluminum bakeware for more options including take out containers, covers and much more. L: 9.0 in. W: 9.0 in. H: 1.5 in.